GroundWork is taking action to save American solar jobs by having our corporate profile included in SEIA’s first edition of Profiles in American Solar Manufacturing. “The ITC should reject the Suniva trade case as it threatens to isolate the US solar industry. This is already creating uncertainty and risk which subsequently slows investment, growth and hiring” said Ann Gaglioti, CEO of GroundWork. 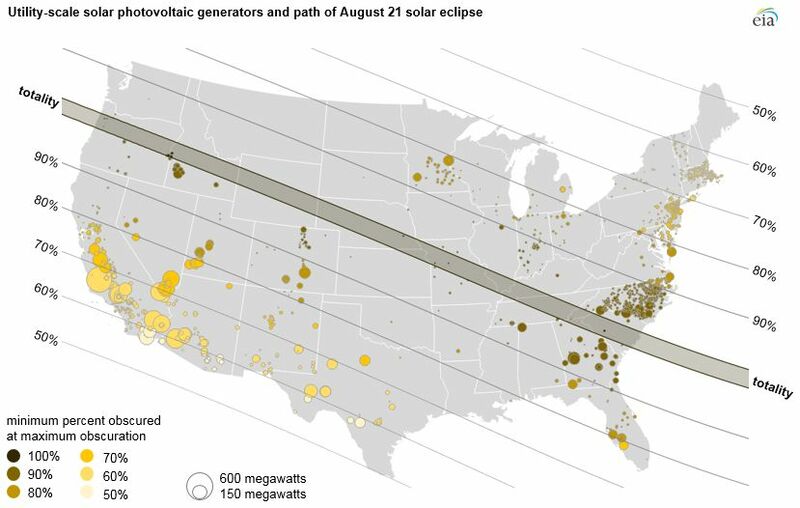 On August 21st, a solar eclipse will cast a shadow across about 1,900 utility-scale solar PV power plants in the United States. These plants are capable of generating more than 20,000 megawatts of energy at peak generation, and nearly all will lose at least some of their sunlight for several hours through the course of the day. Read the full article here. California’s Senate President Kevin de León (D) submitted a plan to set limits on California’s electrical grid hydrocarbon consumption and ramp up renewable energy consumption. The plan sets a goal of 60% renewable energy production within California’s electricity grid by 2030 and 100% production by 2045. Read the full article here. GroundWork’s partner for satellite MET data, Clean Power Research, released an update to SolarAnywhere® that will improve how our clients access and manage solar data in support of project financing and performance benchmarking. This new platform streamlines the process of pinpointing project locations, editing data request settings, and downloading irradiance and weather data. 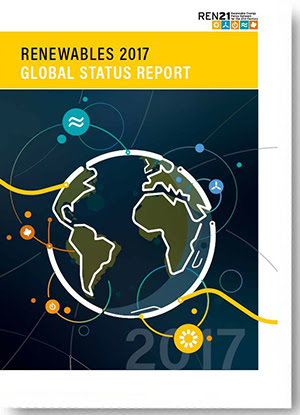 The Renewable Energy Policy Network for the 21st Century (REN21) released the 2017 Renewables Global Status Report, revealing yet another record-breaking year for renewable energy world-wide. Read the full report here. Renewable energy sources set a new record in California, serving 42% of total demand on May 16. CAISO hit a new renewable energy record this week, with wind, solar, hydro and other renewables serving nearly 42% of electricity demand on May 16. Furthermore, during peak renewables production over the 2 p.m. hour, renewables supplied nearly 72% of total demand. See the CAISO report here. 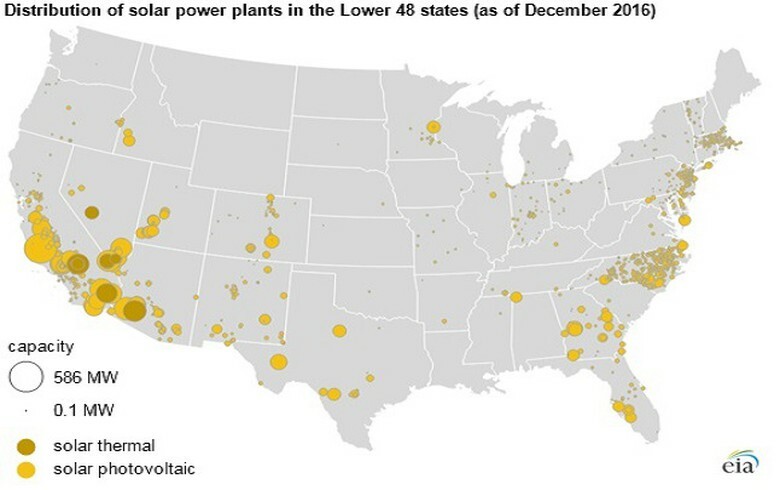 As of December 2016, the US Energy Information Administration reported that the US had over 21.5 GW of utility-scale solar in operation, more than half of which came online in the past two years. 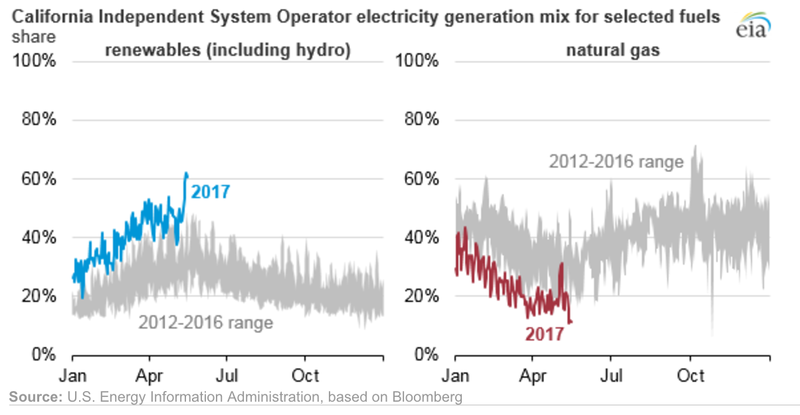 Utility-scale solar has been the fastest growing power generation technology in the US over the past five years, expanding at an average of 72% per year. Read the full article here. According to the US Department of Energy, Solar added quite a few more jobs in 2016 than coal, and stands out as a major, modern job creation industry. Read the New York Times article here. GroundWork will be in attendance at MIREC Week 2017 in Mexico City May 8th – 12th. Contact Cameron@grndwork.com to set up a meeting. Viva la Mexico!